Gundar Peterson, P.E., is a Senior Engineer specializing in environmental investigation and remediation of soil and groundwater at hazardous waste sites, and the design and permitting of landfills and disposal facilities. Mr. Peterson has more than 20 years of experience in water and environmental engineering, including working with water and wastewater treatment; landfill projects for municipalities, private, and tribal entities; design and project management for remediation, landfill expansion, and reclamation; evapotranspiration (ET) cover design; surface water management; and contaminated soil and groundwater investigation projects. Gundar is the project manager for an on-call contract with the Pantex Plant, which offers support services to evaluate existing remediation systems, groundwater modeling, and GIS services. 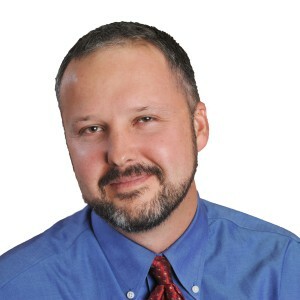 Mr. Peterson has worked with a range of clients, including New Mexico Environment Department (NMED), Los Alamos National Laboratory (LANL), New Mexico Department of Transportation (NMDOT), Albuquerque Bernalillo County Water Utility Authority (ABCWUA), University of New Mexico (UNM), and a variety of private commercial and industrial clients. Isaacson, K., G. Peterson, J. Kay, and J. Kelsey. 2012. Case studies of performance monitoring of infiltration BMPs. Presented at StormCon 2012. Denver, Colorado, August 23, 2012. Golden, T., M. McVey, G. Peterson, and J. Doesburg. 2012. Thermally enhanced remediation in Santa Fe, New Mexico, and potential applications for chlorinated hydrocarbon remediation. Presented at Eighth Annual Conference, Remediation of Chlorinated and Recalcitrant Compounds, Monterey, California, May 21-24, 2012. Golden, T, E. Pease, G. Peterson, and J. Kelsey. 2011. Thermally enhanced remediation. Presented by Thomas Golden on behalf of DBS&A at 2011 American Water Resources Association Annual Water Resources Conference. Albuquerque, New Mexico, November 7, 2011. Peterson, G. 2004. Integrated membrane system. Presented at 2004 American Water Works Association WEA Rocky Mountain Wastewater Week, Rio Rancho, New Mexico, July 2004.